Does Warehouse Skateboards really give away free stickers? Yes! 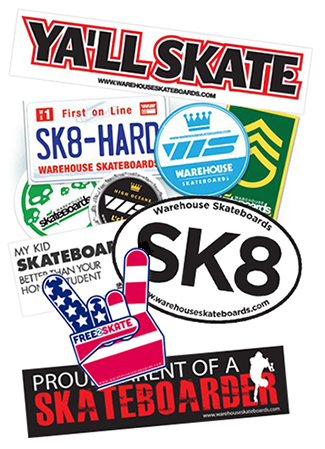 By ordering from warehouseskateboards.com you will be hooked up with free Warehouse Skateboards stickers. If you just can’t wait until your next order for some free stickers you can get free stickers by mail. For full details and to learn more about Warehouse Skateboards, click on the link below. Please allow 2-3 weeks to receive your free stickers back in the mail. We are sorry, but we are only able to provide free stickers through the mail inside the U.S.